This is a different post from what will normally appear here… I’m creating a product that could make your shower or bath awesome! And I’d like to find out if you think so too. I have created a very short survey and only ask that you share your honest opinions. Thanks in advance! This entry was posted in Uncategorized on July 17, 2013 by Adam Worsham. CAD is a very powerful tool. You can design a football stadium… and you can design microfluidic channels. Unfortunately it’s very easy to lose your ‘frame of scale’. In other words, you don’t know how big… or small something is in real life. 3D Printing allows you to get a feel for the actual part in a way that you could never accomplish through a computer screen alone. This entry was posted in 3D Printing, Mechanical on July 3, 2013 by Adam Worsham. 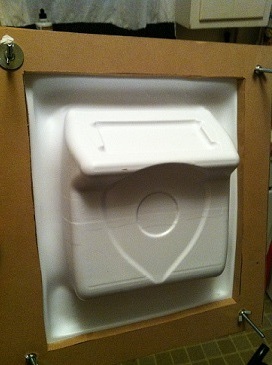 This entry was posted in Mechanical, Vacuum Forming on July 2, 2013 by Adam Worsham.